Idea has now announced 2 new add-on Internet packs for prepaid users which comes as unlimited packs one is Rs. 92, offers 6GB of 3G/ 2G Internet with a validity of seven days and 2nd one is Rs. 53 pack offers 3GB of 3G/ 2G Internet with a validity of one day. unlimited pack users will get validity until unlimited pack validity or add-on pack validity, whichever is higher. Idea had earlier this month launched 4G VoLTE services for customers in 6 telecom circles - namely, Maharashtra & Goa, Gujarat, Kerala, Tamil Nadu, Andhra Pradesh & Telangana, and Madhya Pradesh & Chhattisgarh. Idea is offering 10GB of free data to VoLTE subscribers who make their first VoLTE-based voice call. 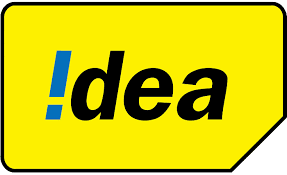 Apart from above, Idea is expected to roll out its VoLTE service in other parts of the country in the following months.